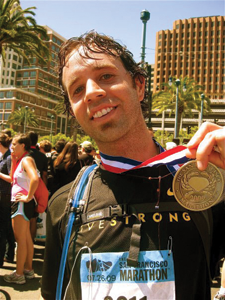 Stephen Remillard runs in several marathons each year, raising funds and awareness. 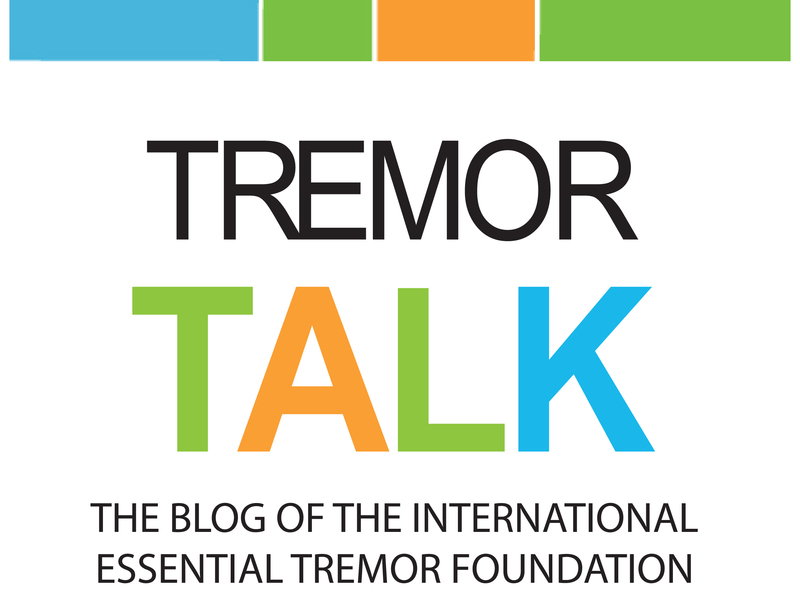 Coping tips to manage essential tremor are critical. ET is a life-altering condition that makes everyday living a test of ingenuity, perseverance and self-esteem. Daily activities such as writing a letter, dressing and eating cause frustration that can lead to stress with temporarily worsening tremor. In order to assist people who have ET in continuing to live full, meaningful lives, the IETF offers the following coping tips. This information is not intended to replace your current medical therapy. Discuss your difficulties with your physician or other healthcare professional in order to help develop a well-rounded treatment plan that is right for you. Learn to use your tremor-free hand for as many activities as possible, including writing. Hold your chin toward your chest, or turn your head to the side to control head tremor. 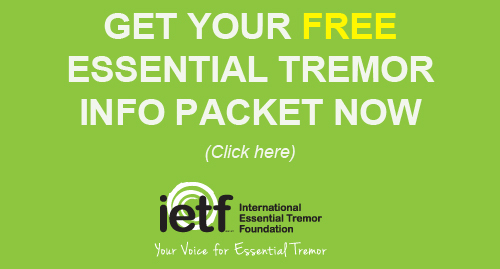 Use your tremor-free hand to steady your tremoring hand, and whenever possible use two hands. Use travel mugs with lids. When on the go, use lids for purchased beverages whenever possible. Carry straws with you. You can find sturdy, thick plastic straws in many houseware sections of stores if thin plastic straws are too flimsy. Avoid caffeine, mahuang, ephedra and other over-the-counter medications and herbs containing ingredients that increase your heart rate and can increase tremor temporarily. Keep your elbows close to your body when performing tasks as a way to help control hand tremor. Carry a small tape recorder with you to record notes. Carry and use larger handled, weighted pens and eating utensils. Use a signature stamp when possible for signing your name. Carry a strip of self-adhesive address labels to give to people who ask for your name and address. Fill out deposit and withdrawal slips at home before going to the bank. Consider using on-line banking to pay your monthly bills. If you write checks, do them all on a “good” tremor day. Consider using credit or debit cards instead of writing checks. Stress control is a very important aspect of managing ET as a chronic health condition. These websites contain information about controlling stress. Massage therapy – Massage may help to alleviate stress that aggravates the symptoms of ET, but massage itself is not a direct treatment of ET or cure for the condition. The link provides more information about case studies on the therapeutic impact of massage therapy on various health conditions. Biofeedback Certification Institute of America – For some individuals, stress can temporarily cause an increase in tremor. Some individuals with tremor have found that biofeedback helps reduce stress. For a biofeedback specialist near you, visit this site and search by area. It is advisable that you call the office to find out if the biofeedback specialist has experience treating patients with tremor before you schedule your appointment. The American Holistic Health Association – Defines and explains holistic practices in medicine. Has searchable database of physicians and alternative therapies practitioners. The Center for Contemplative Mind in Society – Provides information on many contemplative practices such as yoga, meditation, etc. and links to related websites. Ask for adrenaline-free anethesia shots. Request that your dentist stop periodically so you can massage and rest your jaw and your head. Ask your dentist whether a bite block will help steady your jaw during dental procedures. Talk with your dentist about having a person in addition to the dental assistant help with your procedure. The third person can gently hold your head to help control tremor. Request that your meat be cut in the kitchen before being served. Consider ordering finger foods to eliminate the need for utensils. Ask that your soup be served in a mug. Request that drinking glass or mug be filled only half-full. Avoid buffets or have someone assist you when going through the line. Use heavier glasses and mugs instead of light-weight cups. Soup mugs are also a good choice for drinking. When holding a mug or small glass, place your thumb along the rim and place your fingers across the bottom. Fill cups, mugs and glasses half-full. Consider using dishes that have vertical sides or buy rubber bumper guards from a medical supply store to place around the edges of your plates so you can more easily scoop your food. Have a manicurist care for your nails. Have a cosmetologist wax or pluck your eyebrows. Try using disposable floss holders when flossing your teeth. Hire a seamstress to do your mending, or find a volunteer to sew on buttons, thread needles and pin fabrics. Use an electric toothbrush or a child’s toothbrush for better control when brushing your teeth. Apply mascara by resting your elbows on the counter top. Put the wand in one hand and use the other hand to keep the wand steady. Apply eyebrow pencil, mascara, eyeliner or lipstick by resting your finger or the palm of your hand on your face to steady your hand. Put on earrings by resting your elbows on a table. If you have head tremor, place your chin on an upended facial tissue box to steady your head. Print rather than write script. Write in small letters — it’s easier than writing in large letters. Rest your forearm on a table while writing. Hold the pen between your index and middle finger. Place writing paper on a soft surface such as a newspaper to help control shaking hand movements. Use a telephone with large buttons. Avoid phones with speed dial and redial buttons too close to the number buttons. Use a speakerphone, a headset or Bluetooth® device when using phones. Keep a small tape recorder next to the phone so you can record information when talking on the phone. Ask your security alarm representative to give you a remote to turn your system on and off. Use voice-activated dialing if available on your cell phone. Set your computer to omit double strikes on the key board and double-clicks on the mouse. Go to your computer’s Control Panel and click on Accessibility Options to set these options. Go to a store selling a number of different types of computer mouses, try them out, and choose the one that works best for you. Check into speech-recognition software. Some computers are pre-loaded with this. When choosing a digital camera, pick one with image stabilization technology. Using a tripod of monopod can also be helpful. Use a WIFI enabled camera which enables you to remotely download pics straight to your phone via blue tooth rather than inserting the photo card into your computer. When using an iPad, Apple suggests using Switch Control, which is accessibility technology for anyone with extensive physical motor limitations. It offers a number of options. Using a stand for the iPad is also helpful. Getting through airport security can be especially difficult for people with ET. It is a frustrating, intimidating experience.That’s why it is important to be prepared. Give yourself plenty of time to arrive well before a flight so that you do not have to rush through security. When dressing for air travel, wear slip-on shoes that are easily removed to put into checkpoint trays and easily put back on afterwards. Take your belt off before going through security or don’t wear one. Place everything you usually carry in your pockets, such as coins, keys and cell phone, into a plastic bag in advance so it is easier to place in the security tray. Have your ID and other travel documents together and in your hand before entering security.